Fried Chicken Soup has been a family favorite that I've revised to make healthier. And now, I went one step further to make it more of a brothy, flavorful soup, instead of the thick creamy version. 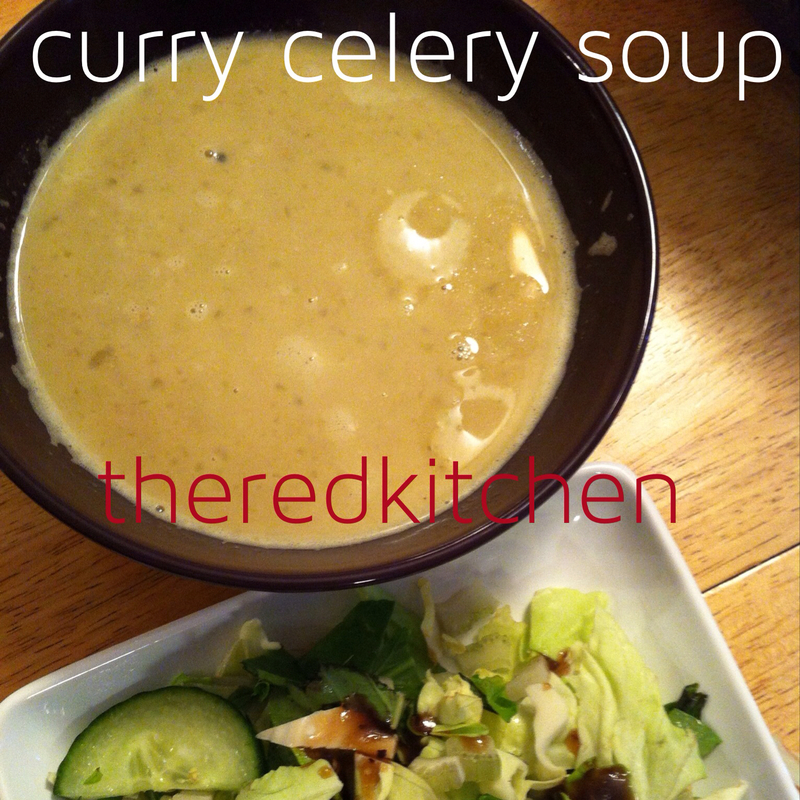 It still features the nice neutral flavor of the celery, fried up with curry, and then blended with the liquids. Place celery and oil in a medium saucepan and heat to medium-low. Sprinkle on some of the curry and garam masala (if using), a small portion at a time. Fry this spiced celery up until nice and crisp, adding additional spice every few minutes and stirring. Add liquids, and bring to a simmer for 5 minutes to bring the flavors together. Remove from heat and use a blender or immersion blender to liquefy the mixture. Return to heat if desired. Serve with cooked meat in the bottom of the bowl, topped with soup, and finally peas if desired.